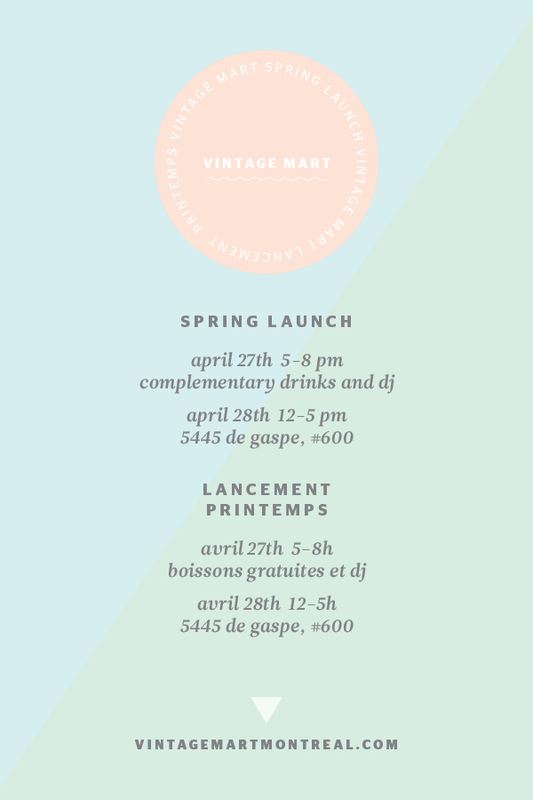 elaine ho: vintage mart: printemps! 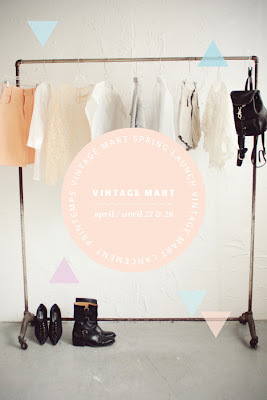 smart design mart's sister event vintage mart will be having a spring sale april 27 & 28th! carefully curated vintage clothing & accessories & home decor by local vintage sellers broundoor vintage, caesar pony, cheap opulence, lily & ruby, supayana vintage and vintage headquarters. there will also be a studio sample sale with broundoor, norwegian wood and supayana. 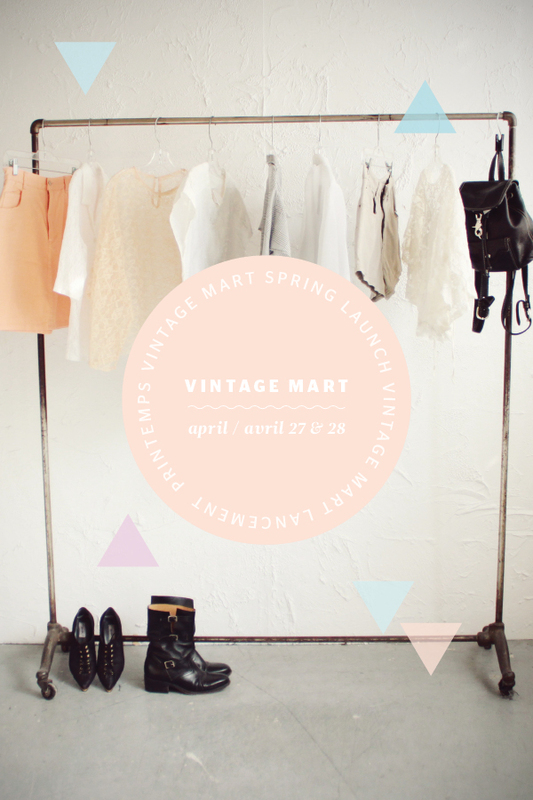 here's the vintage mart facebook group, it's the best way to stay up to date with our events. from coast to coast adopt a toast!! 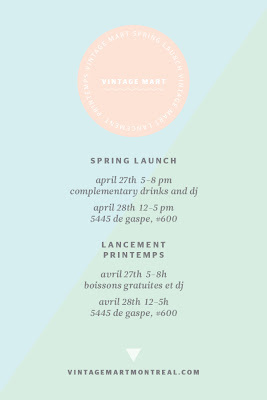 lost vintage & montreal's biggest garage sale!! !